The drainage system for any building needs to be in good working order to prevent rainwater being able to leak into the inside of the property. If leaks are not detected and not rectified quickly, damp and mould can start to appear inside and that is when the costly repair bills follow. It is always advisable to get your guttering system checked for any repairs, cleaning or unblocking that needs doing to ensure your system is working as efficiently as It can be. 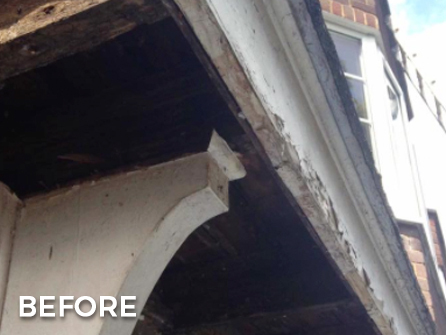 Also, by looking after your guttering, it will prevent the decay of fascias, soffits and damage to your brickwork. 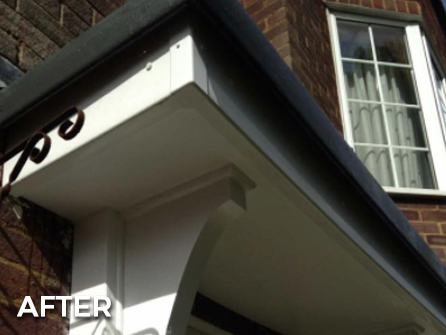 At Elmbridge Roofcare we use only the best quality uPVC products for our guttering, fascias, soffits, downpipes, bargeboards and cladding. 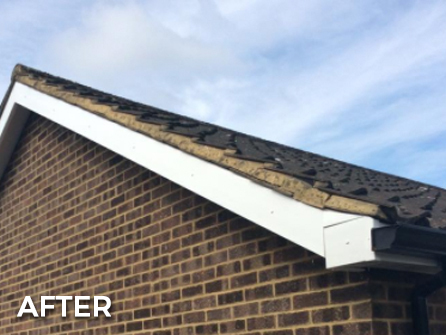 Whether you need replacement guttering, you have a broken downpipe or you simply know that your gutters are blocked or not sufficient enough for your property, call in the expert help of our roofing team. With over 15 years in the roofing industry, we have fitted and repaired many guttering systems, check out our Checkatrade, Rated People and MyBuilder pages and have a look at our excellent customer reviews. We are also approved by The Surrey Trading Standards, this gives our customers great peace of mind that they are choosing a reputable and professional roofing company in the local area. 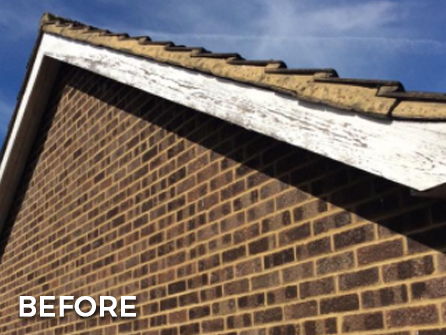 At Elmbridge Roofcare, our team are fully trained, polite and courteous, will turn up on time, in uniform and with the right materials and know how to get the job done professionally and efficiently every time. We will keep the site clean and tidy throughout the project and once we have finished to your complete satisfaction, our team will always tidy away after themselves and discard of any waste materials. All of our work is fully guaranteed and we are happy to organise a free site visit to discuss your guttering requirements. Call us today on either 01932 809479 or London 020 8945 7499 to speak to a member of our friendly team.